Love these blues! Looking forward to following you on Instagram! 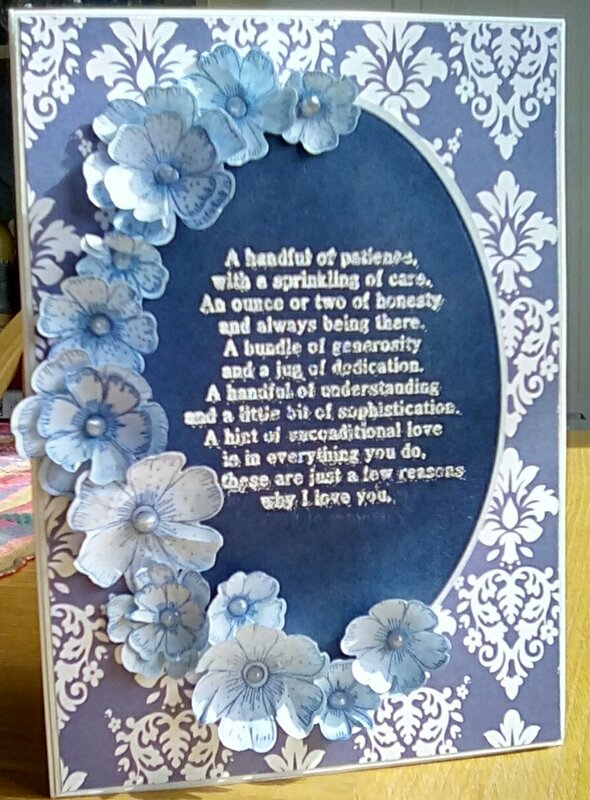 It’s a lovely card and the blues work beautifully. I’ve followed you on Instagram too! Thank you. I searched for you on Instagram early on, I remembered your name, so many are complex! I will come and find you on instagram (I am Craft Owl) – I like this card and I love the flowers. The Works have some excellent craft things at a nice price and they seem to be expanding their range. Happy Anniversary! I have got some very nice paper from them. Very good quality. Their cutting dies are great too. I think I saw the sentiments. Fabulous. I’m excited to see what you make.